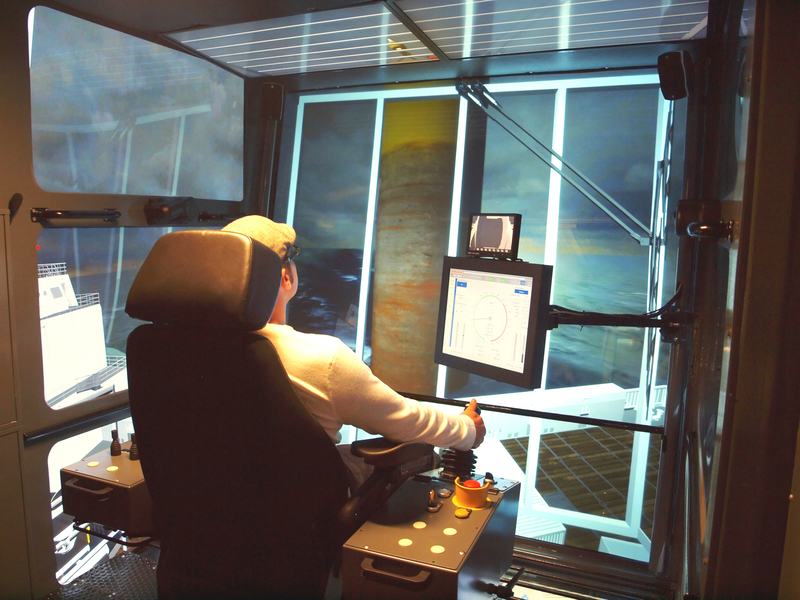 In line with its well established ethos of developing and implementing new technologies that contribute added value to its customers' businesses, Cargotec has developed a simulator to provide valuable, realistic training for operators of offshore load handling equipment employing advanced active heave-compensated (AHC) technology, such as AHC offshore and subsea cranes. The new simulator is a logical enhancement to Cargotec's integrated approach to the offshore support sector, whereby the company not only offers complete engineering solutions that optimise functionality for specific ship types, but also distinct value added service products, planned and on-demand, such as maintenance and advanced operator training, both theoretical and practical. Recent hardware and software developments have resulted in significant advances in simulator technology, opening the doors for such new, specialised applications. The simulator was designed, constructed and tested in house by a team of system engineers at Cargotec's offshore load handling site in Kristiansand. Project manager Eldri Nærum says. "The rapidly expanding base of active heave-compensated cranes on offshore ships utilised in subsea load handling and their operational complexity were decisive factors in selecting this type of equipment for training by simulator." Comprehensive training in the proper use of equipment has great benefits in terms of safety and efficiency and also reduces the likelihood of damage, downtime and repair costs due to incorrect operation. By allowing crane operators to gain more realistic, varied experience in a few days than they would in weeks of live training, the simulator has a major role to play in Cargotec's wider training programme for offshore load handling. This includes training in failure and emergency scenarios in various environmental conditions. The simulator features a full-scale crane cabin interior with multiple high resolution displays which provide an unrestricted view of the entire operating area through numerous windows. The complete simulator package, including all the necessary hardware and HVAC systems, is housed in a single 20ft container. This gives it the great advantage of being completely autonomous and transportable. This means that while it can be employed at Cargotec's training centre in Kristiansand, it can also be taken directly to the customer so that training can take place where most convenient, with a minimum of disruption to the customer's operations. It was a major challenge to recreate the crane operator's lofty vantage point in a very confined space but Ms. Nærum says the team was more than equal to the task. "We have succeeded in creating such a realistic crane cabin that we expect our trainees will forget that they are not operating a real crane. Realistic sounds enhance the experience and a head tracking feature means that when the seated operator looks out any of the windows, the view changes seamlessly according to the movement of his head"
Ms. Nærum says. "In addition to its primary training function, the simulator also enables Cargotec to demonstrate and assess the various functions of its products, plan marine operations, and log data for playback to evaluate and improve future operations. It can also be used for the rapid design and testing of new concepts."